Instead of putting the mixture into a pan, I put it into 2 pie shells. 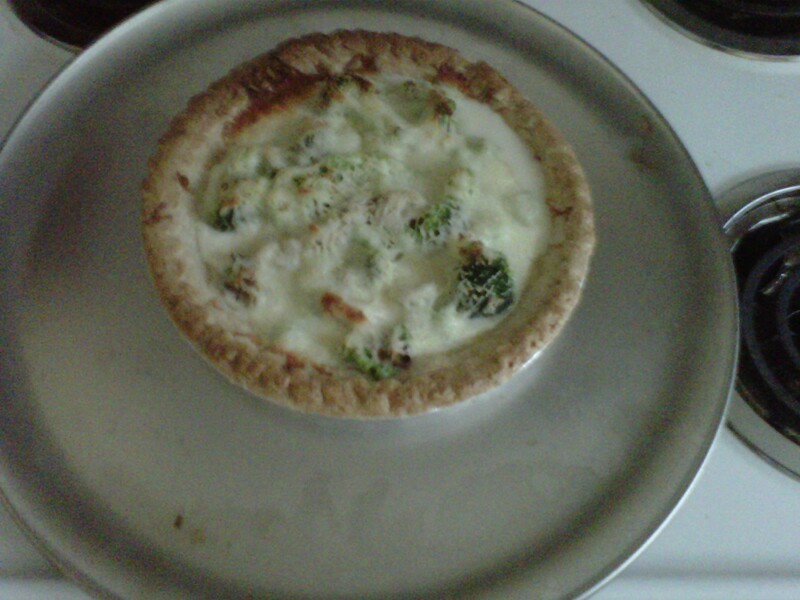 Mix broccoli, mushrooms, egg substitute with half and half and skim milk. Pour into 2 pie shells and sprinkle with cheese. Bake in 400*F oven for 40 mins.